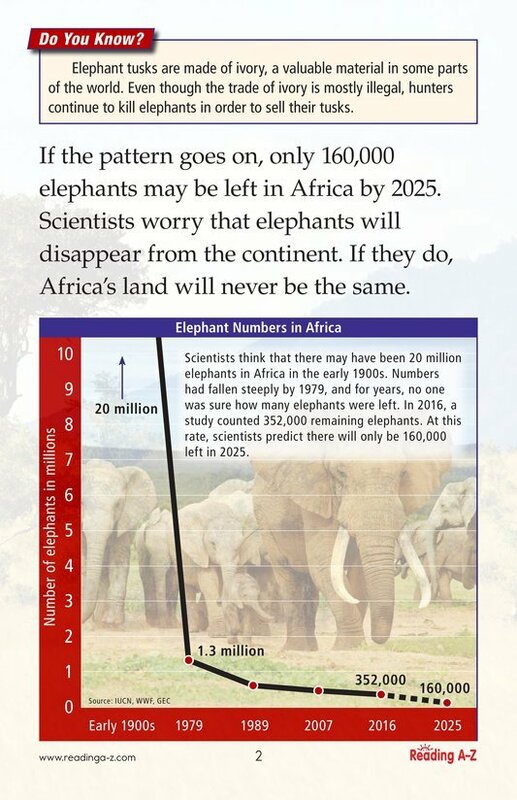 Africa's elephants are quickly heading toward extinction. 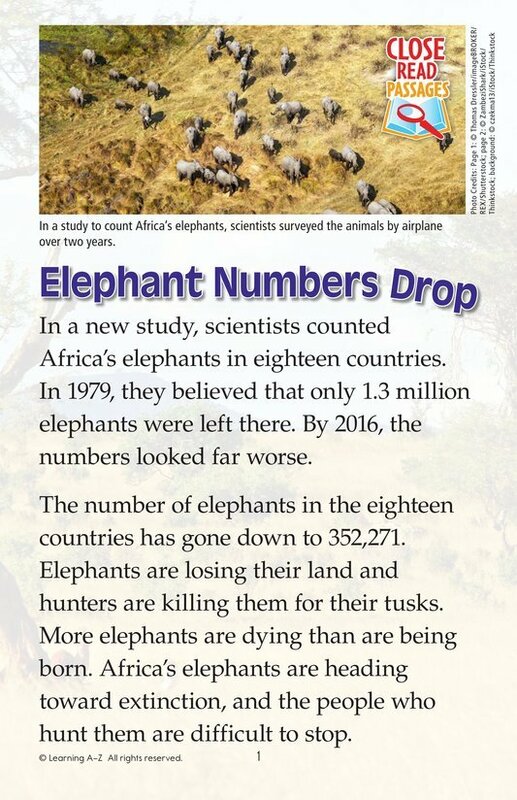 Readers will learn about a 2016 study where scientists counted elephants in eighteen African countries. The results are alarming.